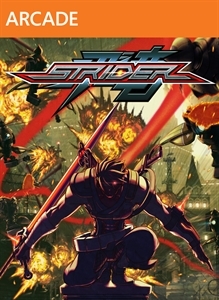 Strider returns in a brand new adventure, complete with incredible side-scrolling action, and lightning fast combat all in a massive interconnected world! Download the full game now and become the original assassin! Front Mission Evolved brings the classic Front Mission franchise to the Xbox 360. Terrorists have slipped under the radar, commencing a surprise attack on New York... Front Mission's latest evolution is a new breed of third-person shooter, placing you at the helm of massive humanoid war machines called wanzers to purge the enemy threat. Do battl..
Battleship is making a comeback! Features Action-Packed Gameplay: As a side story to the upcoming Universal Pictures' film, this fast-paced FPS puts you at the forefront of an extreme alien attack. Facing hazards across land, sea, and air - this won't be a walk in the park "Spectacle at Sea" Tactical Battle Command: Take rea.. In the game, players take on the role of a very different Jonathan Harker - hardened and ruthless - who is on a very personal mission to destroy all vampires after his beloved Mina falls prey to Dracula. Gameplay involves a combination of hunting these ferocious killers through tracking and exploration, along with an up-close and personal combat sy..
From the producer of the original Devil May Cry® and Resident Evil® 4 comes comes the next installment in the hugely successful stylized action series that has so far achieved global sales of nearly seven million units. Devil May Cry® 4 immerses gamers in a gothic supernatural world, where a new protagonist clashes with a familiar hero. As..
Dead Rising follows the harrowing tale of Frank West, an overly zealous freelance photojournalist on a hunt for the scoop of a lifetime. In pursuit of a juicy lead, he makes his way to a small suburban town only to find that it has become overrun by zombies. He escapes to the local shopping mall, thinking it will be a bastion of safety, but it turn.. In Lost Planet you control both your human player and a mech unit, in a fight against alien bugs on a cold desolate planet. Set within the merciless frozen tundra of a hostile planet, humans struggle for survival as conflicts arise between man, the surrounding indigenous creatures and the monstrous beings that have invaded. With a gripping single p.. Blast hordes of zombies again as Dead Rising returns to Xbox 360. In the long-awaited sequel to Dead Rising, players step into the shoes of Chuck Greene, professional motorcycle racer. Surrounded by a horde of hungry zombies in the spectacular casino town of Fortune City, Chuck finds himself in a race against time to find Zombrex, the one th..
Utilizing the Xbox 360 unprecedented power, Resident Evil 5 promises to revolutionize the series by delivering an unbelievable level of detail, realism and control. Resident Evil 5 is certain to bring new fans to the series while expanding the world of video game entertainment to new heights; confirming once again Capcom’s long standing rep..